Meet preview and rankings coming into Wednesday's Montgomery County Championships, which will be LIVE streamed starting at 3 PM. The Northwest program has held a dominant reign over the county in recent years, especially their boys, but their streak could come to an end with Paint Branch boys surging as a team to seriously contend in the team points standing on Wednesday. It could come down to the final event in the 4x400 to determine the team title. Along with a superior sprint crew, Paint Branch could really rack up some points with their relays being among the county's fastest in all 3 events (4x200, 4x400, and 4x800). The 4x400 and 4x800 meter races should be especially exciting between Paint Branch and Montgomery Blair as two of the state's fastest in each event. 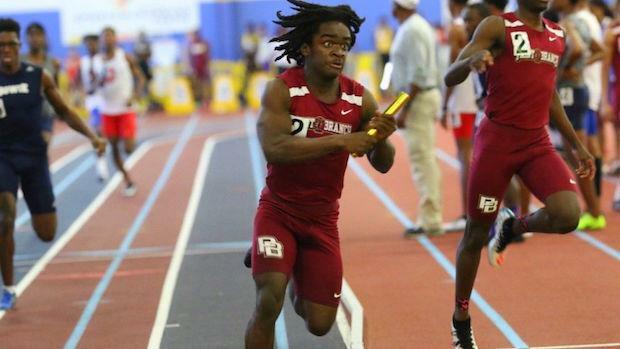 In the sprints, Paint Branch has the county's fastest two in the 300 meter dash with Chukwumbdi Osuji (36.19) and Max Davis (36.70). 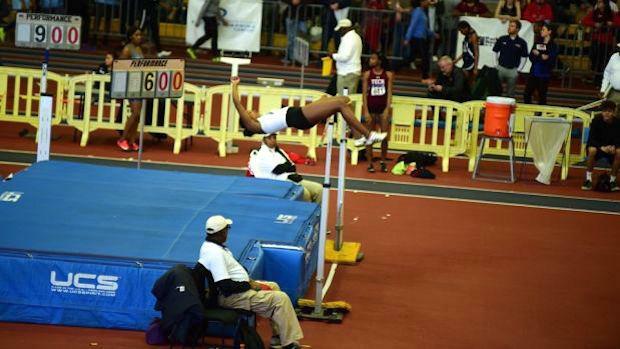 In the 55 meter dash, Paint Branch has the potential to have 3 finalists with Osuji, Davis, and teammate Justin Page. 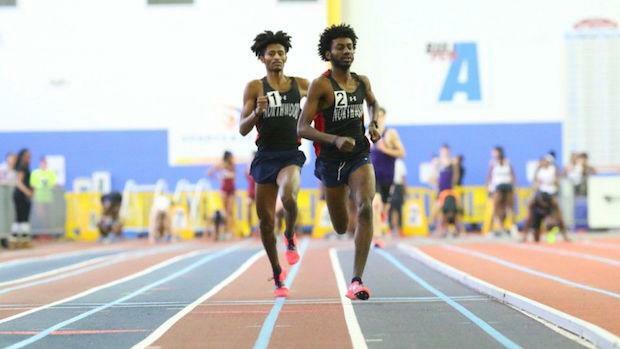 Paint Branch's Joseph Okonofua is the second fastest in both the 500 (1:07.99) and 800 (1:59.97). Northwest on the other hand will look to the field events and jumps especially to put them in good position before they get to the track events. 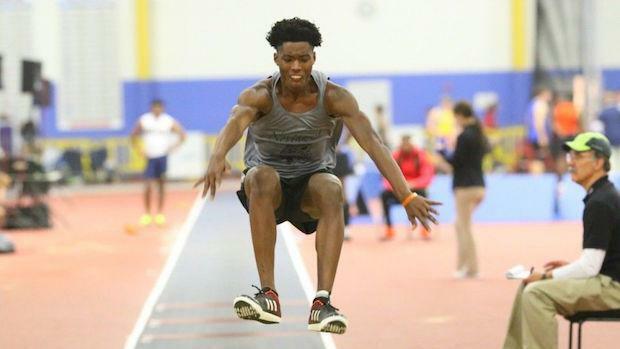 Ohio State recruit Clarence Foote-Talley will be looking to sweep all 3 jumping events in the high jump (6-3), long jump (22-2), and triple jump (48-10) for Northwest as the top seed. Meanwhile, Northwest senior Isiah Bishop has the county's best mark this season in the shot put at 46'10.75". Northwest might not produce any individual champions on the track, but look to have scorers in a majority of the races. Anthony Woods in the 55 meter dash or their 4x800 meter relay have the best shots at taking first. The Northwood distance duo of Eldad Mulugeta and Obsaa Feda will be looking to go 1-2 together in the 1600 and 3200. The pair qualified for Nike Cross Nationals together individually this past fall. Mulugeta has really taken his running up a notch this indoor season including a US #2 9:11 victory in the 3200 this past weekend at the Montgomery Invitational. Feda clocked a PR of 9:17 in the same race, while Mulugeta (4:23) and Feda (4:24) have the top 2 county times in the 1600 as well. Richard Montgomery's Garrett Suhr in the 1600 and Walter Johnson's Rodrigo Yepez-Lopez stand the best chance at breaking up the Northwood duo. 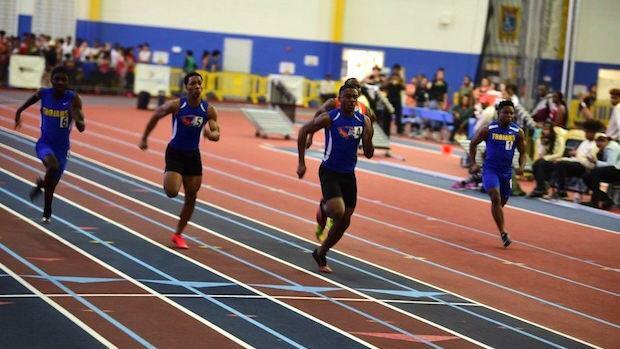 David Vincent Okoli of Watkins Mill really impressed early on this indoor season as an emerging star in the sprints and will be the top seed in the 55 meter dash as well as a contender in the 300 meter dash. While the Northwest boys will have their hands full trying to repeat as county champions with Paint Branch, the Northwest girls could have an easier path to the team title. It helps when your team has arguably the county's most versatile and talented athletes in Taylor Wright. Wright is US #1 in the high jump with a personal best clearance of 6'0" this winter as well as US #8 in the triple jump with a season best leap of 39'3". Wright will be favored to pick up 10 points in each of those events as well as the 55 meter dash as her 7.16 season best clocking in the event is well ahead of the county's next fastest in the sprint at 7.40. Wright also will be featured on one of their sprint relays in either the 4x200 (likely) or 4x400 as their squad is the second fastest in both relay races. Northwest also has the second fastest 4x800 meter relay, so between Wright and their relays, their squad could wrap up the team title alone. Blake, Gaithersburg, Walter Johnson, and Paint Branch are all capable of scoring around 50 points or more as the next best programs in Montgomery County. The Blake girls will be putting themselves in top 3 team position with their sprint relays and sprinters. 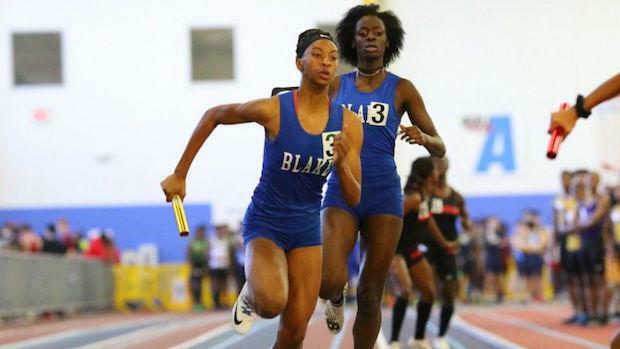 Their 4x200 meter relay has one of the fastest times of the season at the PG County Sportsplex at 1:43, while also have posted a swift time of 4:08 in the 4x400. Their squads could be loading up to chase after meet records in both events. 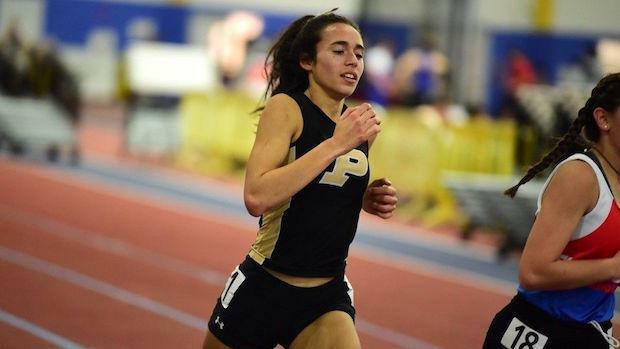 Poolesville's Nandini Satsangi will attempt to be a double winner in the distance races with her season best times of 5:09 in the 1600 and 11:05 in the 3200. Walter Johnson sophomore Ella Gaul (5:13 season best) should give her a good challenge in the 1600. 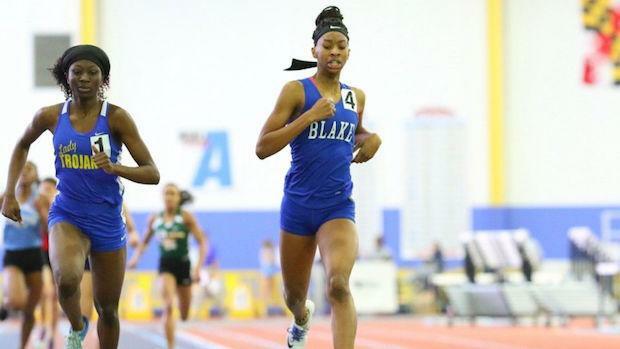 The girls 500 should be a fast race with 3 girls who have run 1:17 or faster between Michelle Kamara of Gaithersburg, Serena Harrison of Blake, and Melissa Kameka of Damascus. Kameka and Kamara both have opportunity to be a double winner in the 500 and the 800. Kamara will have a busy day though as she starts her day as the fastest seed in the 300 (41.58) as well. It would be an amazing feat if she could somehow win all 3 given the short rest in a one day event.